Mary Ann Molacek, 91, of Clarkson, died Wednesday, July 25, 2018, at the Clarkson Community Care Center in Clarkson. 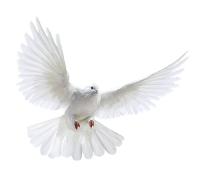 Funeral Service Monday, July 30, 2018, 10:30 A.M.
Mary Ann (Mastny) Molacek was born to John and Mary (Sterba) Mastny in Clarkson, Nebraska on June 26, 1927. 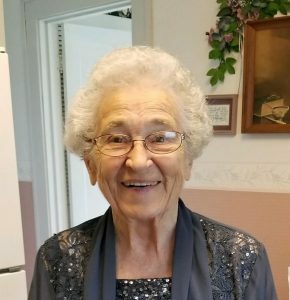 Mary Ann died on Wednesday, July 25, 2018 at Clarkson Community Care Center where she had lived since March, 2018. Mary Ann grew up in Clarkson and graduated from Clarkson High School in 1944. Mary Ann was confirmed at the New Zion Presbyterian Church in Clarkson, Nebraska. Following graduation she went to Wayne State College where she earned a teaching certificate. On October 8, 1946 she was united in marriage to Milo Molacek at New Zion Presbyterian Church and they made their home on a farm north of Clarkson. Mary Ann enjoyed being a farm wife. When Mark and Myron were older, she worked part-time at the Clarkson Nursing Home as a CNA for 32 years and later worked part-time for the Colfax County Press. Mary Ann enjoyed many things in her life. She enjoyed baking, cooking, gardening, helping others, singing in the church choir and scrapbooking, but what Mary Ann enjoyed most was her family. Her face lit up when they were around. She loved her sons and four grandchildren making sure she spent that extra time with each one. She enjoyed attending their activities when they were young, and when she became a great grandma, loved having that new title to her name. Family time was important whether a holiday at her house or in Omaha with her sons and their families. When Mary Ann walked in to the house with the “gold box” you knew she had brought her famous rosettes for the occasion.She was a lifetime member of New Zion Presbyterian Church where she served on the session, sang in the church choir from the time she was young, helped every year with the Czech dinners and helped wherever she could. Mary Ann was a member of the VFW Auxiliary. Mary Ann also helped Clarkson Museum during Czech Days, greeting all those who entered to make them feel welcome. Mary Ann was preceded in death by her husband Milo, parents, mother and father-in-law, three brothers, and 2 sisters-in-law, 2 brothers-in-law and a niece. Mary Ann is survived by sons Mark of Omaha, Myron (Jayne) Molacek of Omaha, three granddaughters, Jenn of Omaha, Liz (Aaron) Fond of Dallas, Texas and Julie (Kenton) Hicks of Omaha, one grandson, John (Sita) Molacek of Nevada, Iowa and one great granddaughter, Maelyn Hicks of Omaha, and one great grandson, Henry Molacek Fond of Dallas, Texas, 2 sisters in-law, Libby Mastny of Schuyler and Dorothy Molacek of California, several nieces and nephews, and a host of friends. Mary Ann was looking forward to becoming a great grandma again in September and will be greatly missed by all who knew her.